Giant Jamboree and Competition news below. Jamboree Updates: Attend the Giant Jamboree! 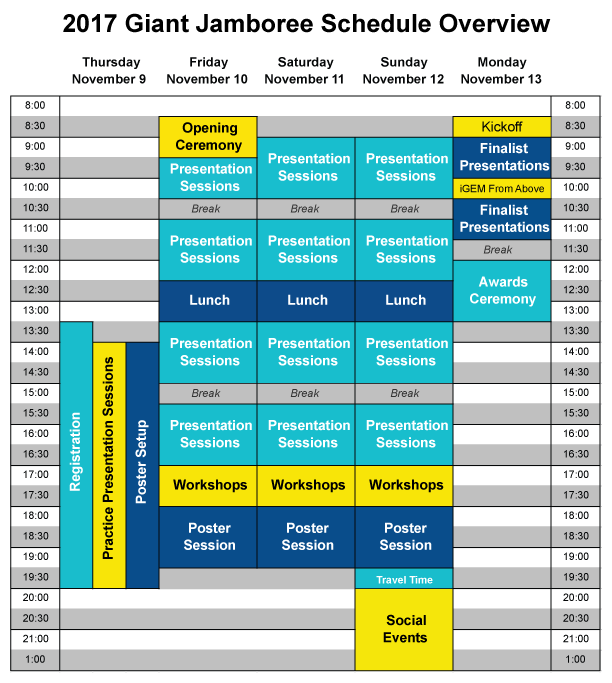 Event Schedule Now Available. JoGL data shows how starting your wiki early and updating it often can impact your work. See how wiki edits impact team performance by viewing all the hard work your team has done in the 'waterfall' image and heat map of team behavior. What does your team's editing work look like? Browse through iGEM 2008 - iGEM 2016 teams. How well did your team collaborate as compared to your peers? 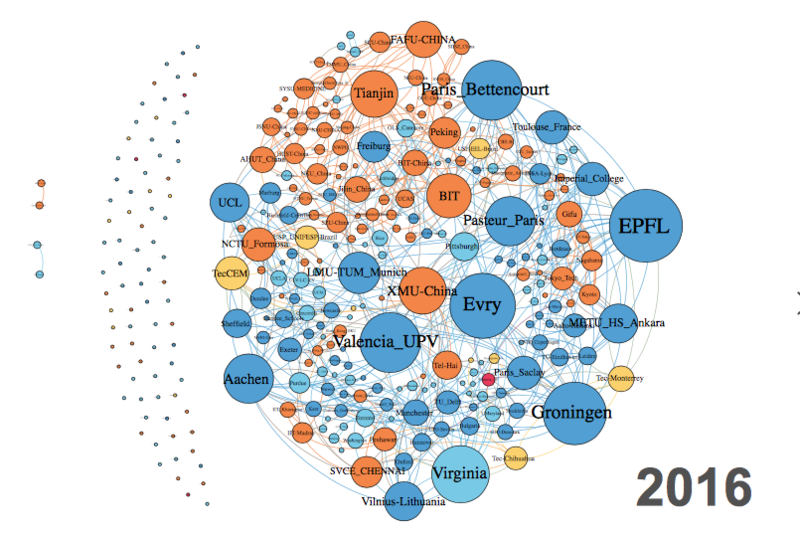 iGEMeta includes a visual graphic of iGEM team collaborations. 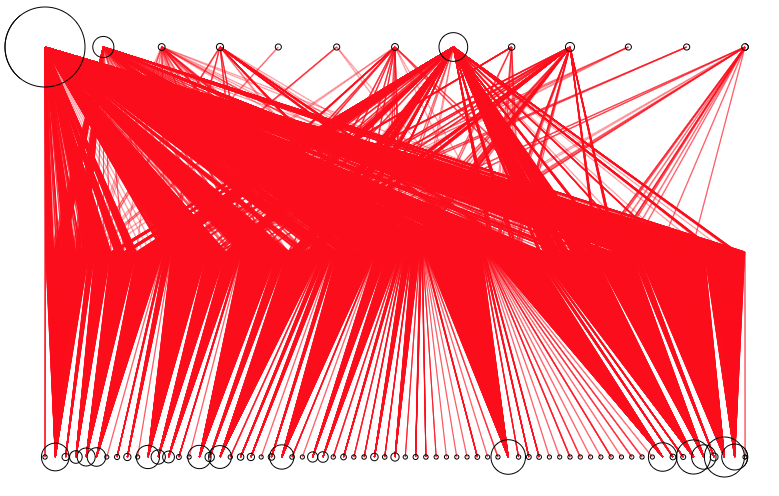 Here you can see all past teams' collaboration efforts graphically represented. Through iGEMeta we reflect upon the achievements of the past and draw conclusions to improve the competition and synthetic biology. We hope that our efforts highlight the best of iGEM and capture the scale of what our community can and has already done. Connect on Social Media! 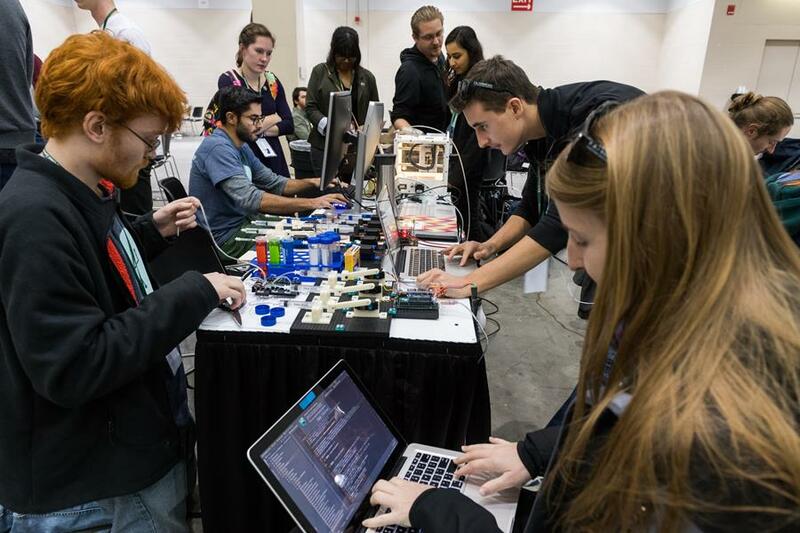 Join us on Facebook, Instagram (@iGEM_HQ), and Twitter (@iGEM)! Be sure to tag your photos with #iGEM2017; we'll be collecting them to show off later in the season. iGEM is proud to recognize these Platinum Partner and Partner Sponsors for iGEM 2017.